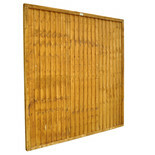 This super strong lap panel has an extra upright construction on both sides for additional stability, manufactured from pressure treated timber for improved durability. 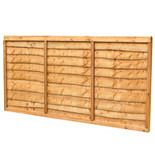 These heavy duty closeboard panels are densely packed with boards and framed all round to provide one of the strongest fence panels for those who put security at the top of their list. 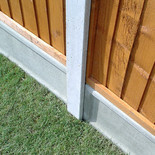 These fence posts have been incised to enable preservative to penetrate deep into the post, Increasing service life and reducing costs over time. 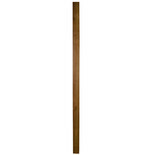 Guaranteed for 15 years against rot. 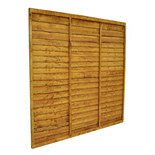 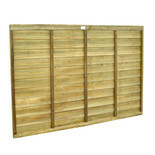 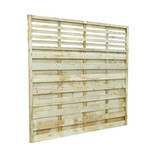 The Kyoto fence panel features a decorative slatted screen design to the top section and smooth planed timber for an attractive and high quality finish.